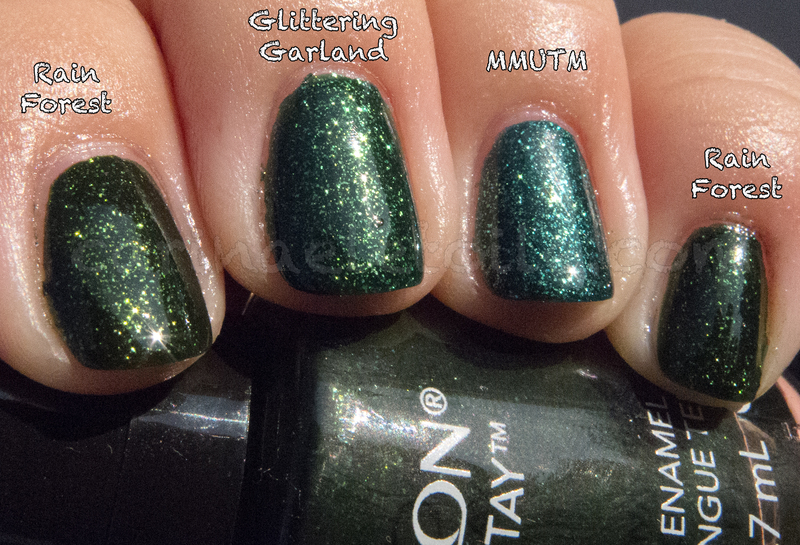 Revlon Rain Forest vs …. Revlon’s come out with some pretty awesome shades…and if you’re not stalking every place for Whimsical, I think you’re not a polish addict. However, that’s not what this post is about. This is about a green I saw on display a couple of weeks ago. I purchased her because…she called to me. Little did I know that she would remind me of some colors in my collection already. Hm…. Let’s see how accurate this really is, shall we? I present one of Revlon’s newest colors, Rain Forest. How gorgeous is it? No sunlight shot because I couldn’t get to the sun in time here in California. I know it sounds lame, but it’s the truth. The sunlight shots really didn’t do this color any justice. As you look at this color, aren’t you reminded of a comparison I did just mere days ago?! I know I was. So the next day, while I had the sun on my side, I did a comparison…and let me know what you think? Personally, I love how RF on my index finger hit the sun just right and got that little blingy sparkle going on. Here in the sun you can really see the difference – RF has a darker, almost black base. GG has a dark green base while MMUTM has a much lighter base when compared to the other two. Also, RF seems to be a bit more olive with the glitter/glass flecks where as GG and MMUTM are more of a sheer/silver tint. At any rate, I’m happy to have added another illustrious green to my collection. 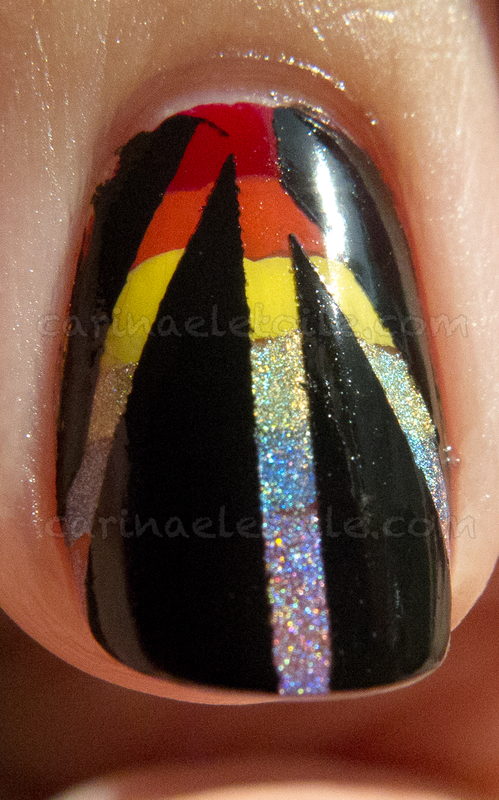 China Glaze Magnetix Review and GIVEAWAY! I like them all!!!! Even though they’re pretty close to one another. I too stalked stores for Whimsical and finally got it, heehee. As a matter of fact, I’m wearing it right now! Love it.